I started out this series with a Nightmare film so I figured having one near the end would be a good bookends. And after witnessing the amazing Hi-Def transfer of the first film, I was anxious to see what other films in the series looked liked. 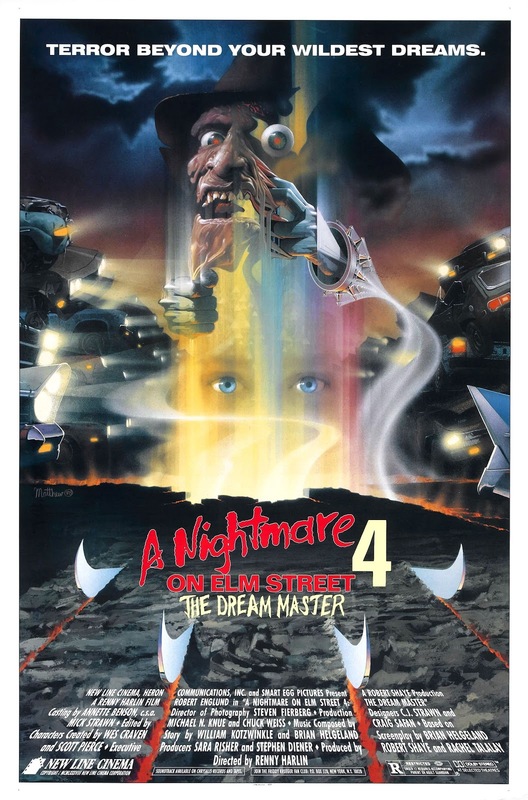 I can safely say that Nightmare 4 doesn't quite live up to the first one's video standards (and is even behind 3 in that department). The image is just muddy at some points and not very appealing in a higher resolution format. I'm still annoyed that they just killed off Kincaid and Joey. 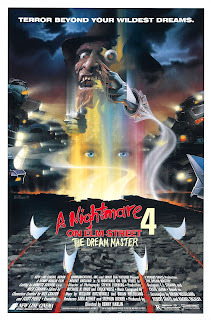 Those characters were awesome in Dream Warriors and deserved so much better. I may have cared about Kristen's death had it been Patricia Arquette in the role, but without her, I just kept waiting anxiously for Freddy to off her. Not a good sign when it's one of the female leads but somehow the film still pulls through.